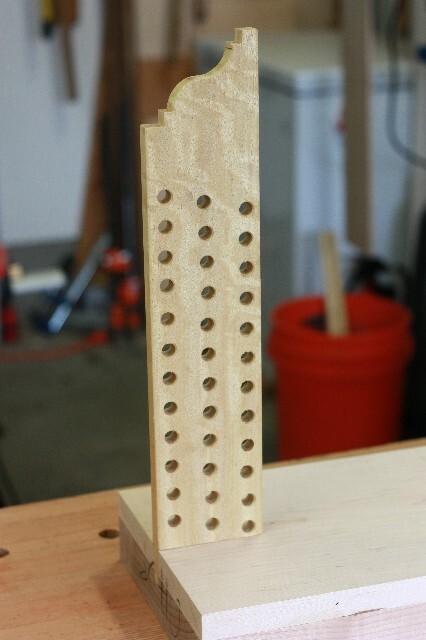 I got to work on the leg vise today and started by laying out the holes in the parallel guide. The parallel guide will sit at the bottom of the leg vise chop and keep the chop parallel to the left front leg of the vise. The hole lay out was done using the template from Benchcraft and the tip of my brad point drill bit. 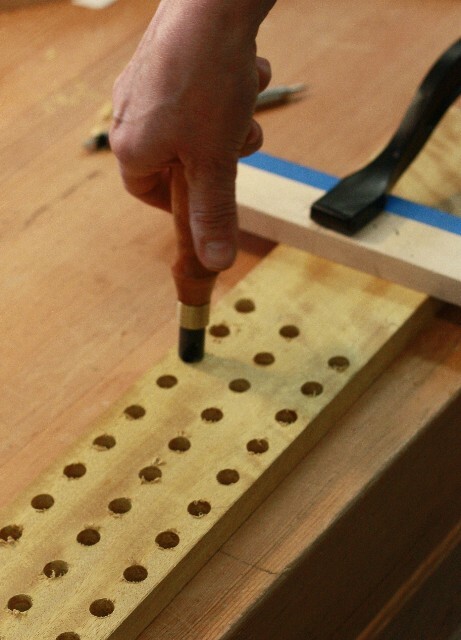 Once the holes were drilled, I chamfered the hole edges. 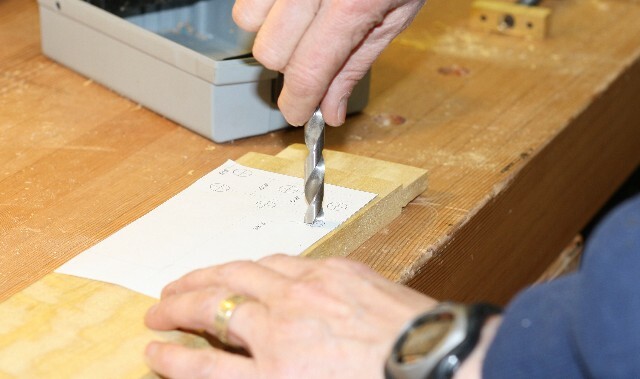 Then I cut out the shape of the parallel guide tail shape on the band saw. The final guide after inserting into the chop. Now I need to shape the chop. 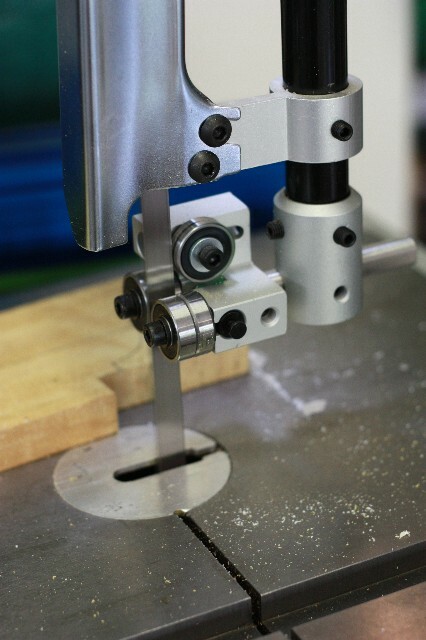 This entry was posted in workbench and tagged chop, parallel guide, workbench. Bookmark the permalink. Looking good, Marilyn!! I can’t wait to see what you’ll do for the chop design! Wow, I love the detail on the end of the guide, I can’t wait to see what you do on the chop. I gotta get my saw chest finished so I can get back to my bench, the legs HAVE to be dry by now, right? Joe – Right! I’ve been wanting to see your bench again. Not sure I’ve ever really gotten to see the full thing. Marilyn – did you see the “St. Peter’s Cross” parallel guide on Chris Schwarz’ blog? That looks pretty nifty. Yeah! I saw that. Very cool, but too late for my bench. Bet it costs some coin too. Hey Vic! you found my blog .. after I moved it .. again! Thanks!